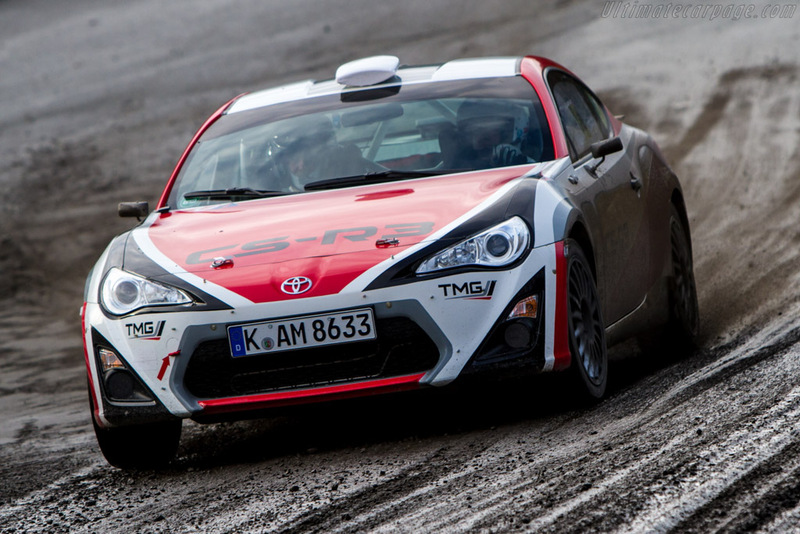 TOYOTA Motorsport GmbH is delighted to announce that the wait is over; the GT86 CS-R3 has successfully become the first new rear-wheel-drive rally car to be granted FIA homologation in the 21st century. After an extended development, prolonged by the challenge of being the first rear-wheel-drive in the previously-exclusive front-wheel-drive R3 category, the car is now eligible to compete in any rally which runs to FIA regulations, including the World Rally Championship. I love it. Just as subaru is totally out of rallying and goes into track racing Toyota comes back into rallying. Just awesome. I don't know too much about rally - are RWD cars actually competitive? I would think the more slippery the surface, the better off you'd be with AWD or FWD platforms. Pretty cool nonetheless. Looks like a ton of fun. They race in different classes. Although there is an overall winner also. If I'm reading the press release correctly, it sounds like this is going to compete in the R3 category, which previously was FWD only? RWD won't be able to keep up with AWD, but it will be able to keep up with fwd cars as they got better weight distribution and you can power slide through the corner and keep the momentum going. Plus RWD is where all the fun is....I hope Group B rallying makes a come back!! Usually they group by main classes by engine size and weight. Our car is in the 2wd 2.0 liter R3(cs?) class. Or just grouped with all the R3 cars which include other cars with similar engine/weight. Rwd is not always faster than fwd. Rwd is much harder to drive and more weight on the front wheels=more traction exiting a turn. Yeah... strange. Subaru has always been known for AWD and the off-road kind of experience. So it's bazaar that they've practically given up rallying in favor for circuit racing while Toyota has been better known for their RWD sports cars and F1 involvement. Regardless, it's good to see the 86 in the WRC (lower class) but it's still not something that will be televised or relevant in the States. Yeah I completely agree with you. I also really like when a particular model spans multiple motorsports. That says a lot about the 86. In for details on what suspension changes they've done to make it off road worthy and where to get the parts. Fairly comprehensive as to what your money will buy. Seems a reasonable price for what you get. I dunno... If you go back to the 70s, Toyota and Nissan (Datsun) built their international reputations on rallying in events such as Paris-Dakar. In the US, since rallying was not as popular (or even discussed), they focused on circuit racing. Subaru, as far as I can remember, didn't really start rallying/racing until the Audi Quattro showed that AWD was superior to RWD off-road.